Larger than normal contingent of saloons as well. 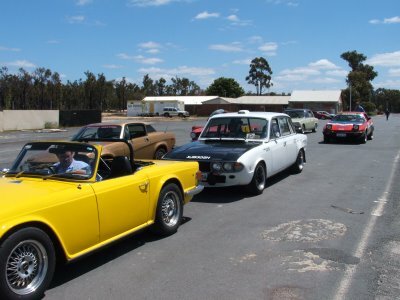 My Mk1, Humphs 2000, Brock Makins 2.5PI Mk2 works-replica, an injected 2500S and a standard 2500S. Circuit has recently been resurfaced and the altered slightly meaning faster times so everyone was having fun learning new lines.